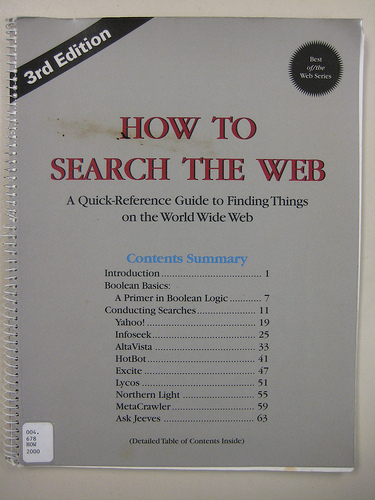 We just subscribed to the Safari computer ebooks database, so I started weeding our print computer book collection. It's a heavily-used collection, but I found a few books that made me laugh. And this was on the shelf in a library that weeds regularly - who knows what gems are waiting in larger libraries that have the space to keep lots of things. On another note, my parents will be visiting for the Fourth of July, so I won't be posting again until later next week. I hope you have a good holiday (non-Americans, I hope your regular days are good, too).